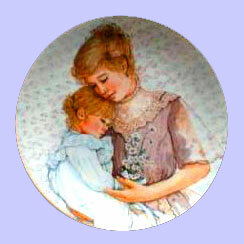 Some would say there is no more influential or powerful role on earth than that of a mother. Few of us will ever forget the contribution our mothers made to our lives, and today’s children are desperate for that same influential contribution. Increasingly, we are seeing and hearing of youth problems: lack of self esteem, eating disorders, increasing sexual promiscuity among younger and younger children, literacy problems, bullying, gangs, unemployment and much more. I’m not saying that being a good mum will necessarily fix or eliminate any of these problems. However, our children are growing up in a difficult world, and if ever there was an age that needed to recapture the importance of a mother to her children, it is the current one. Mums, God needs you, your children need you, your husbands need you, Australia needs you! “Believe it or not, mothers, you are part of the answer – a major part of the answer – in building boys and girls who can keep control of themselves. Never (repeat NEVER) sell yourselves short. If a child lives with criticism they learn to condemn. If a child lives with hostility they learn to fight. If a child lives with ridicule they learn to be shy. If a child lives with shame they learn to feel guilty. If a child lives with tolerance they learn to be patient. If a child lives with encouragement they learn confidence. If a child lives with praise they learn appreciation. If a child lives with fairness they learn justice. If a child lives with security they learn to have faith. If a child lives with approval they learn to like themselves. If a child lives with acceptance and friendship they learn to find love in the world. A mother’s influence is foundational to how our children view themselves. Mums are actively involved in shaping the future character of a nation by shaping the character of our children. May every mother consider their importance again. As for the rest of us, let us thank God for our mothers, and let fathers give love and assistance to the mothers of our children. Pray that children will honour their mothers. Above all, let all God’s people praise Him for the display of his glory in the lives of our mums. Stick at it mums. Never doubt the value of your calling. Without your partnership the family can simply not survive.